LillyMaiden, of Lissie & Lilly's blog, put together a postcard exchange for dolls this summer. Anne was very excited to show off one of the places she has been traveling to. 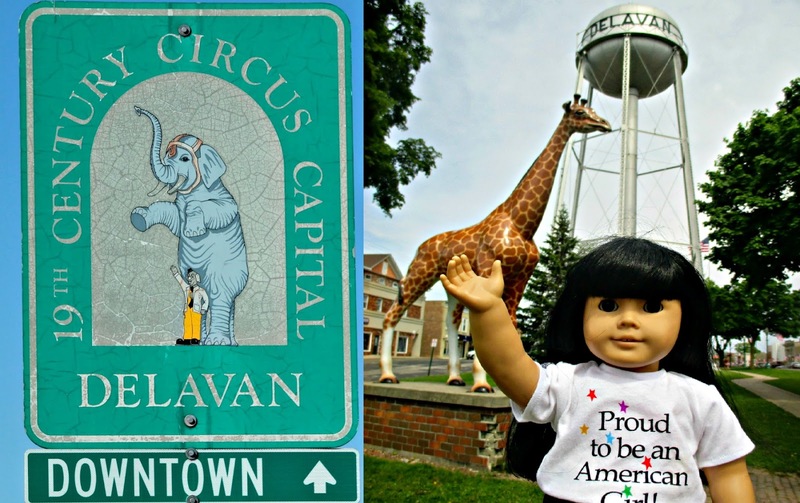 Our postcard features Delavan, Wisconsin, one of my favorite towns. 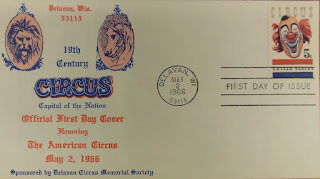 The stamp used on our postcard is also associated with Delavan! 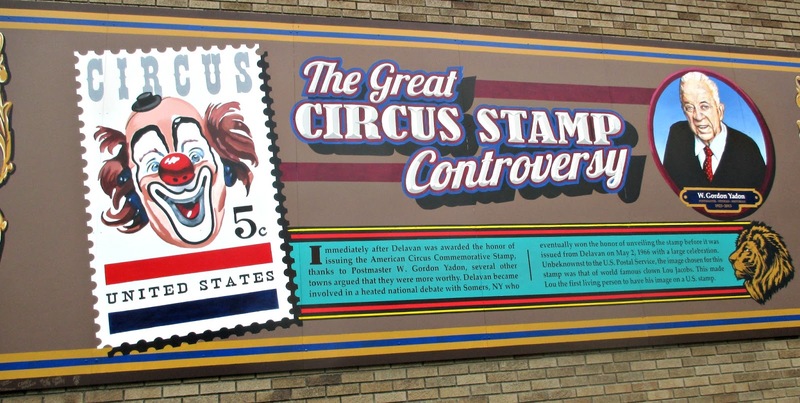 It shows the famous clown Lou Jacobs, and was the first stamp to show a living person. 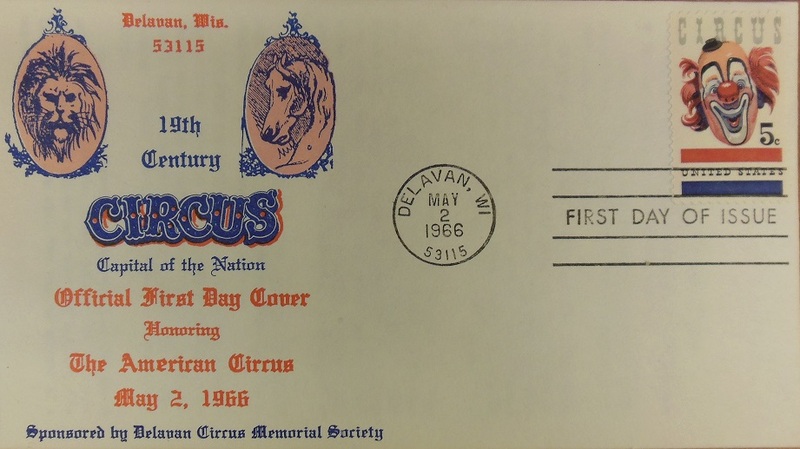 The artwork was done by Delavan artist Elmer Gauger, and the stamp was first issued from Delavan on May 2, 1966. There is even a mural about this stamp! You can see more pictures of Anne in Delavan here. 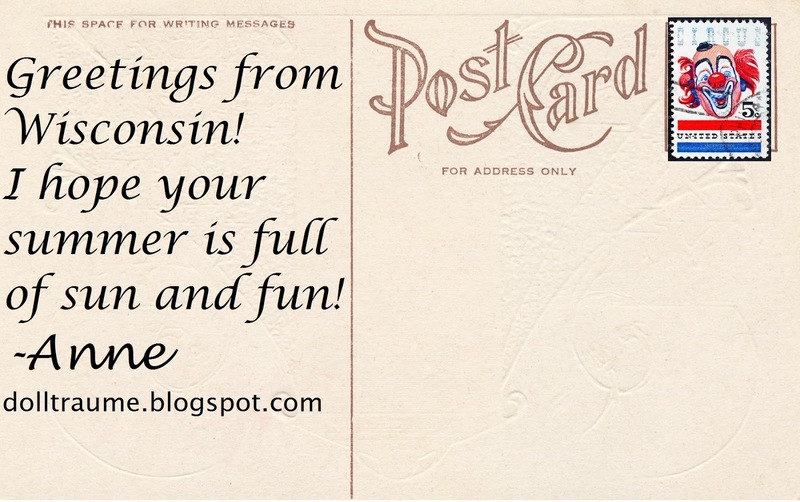 I am going to post the pictures of the postcards we received in a separate post, because there are a lot. 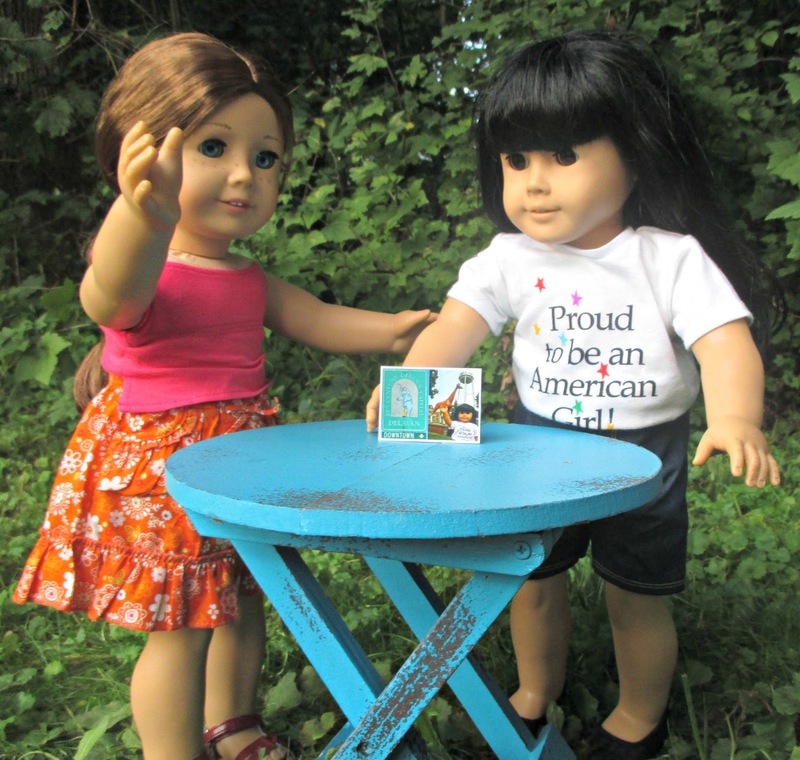 For now, in this picture, Saige can't believe that Anne has her picture on a postcard! 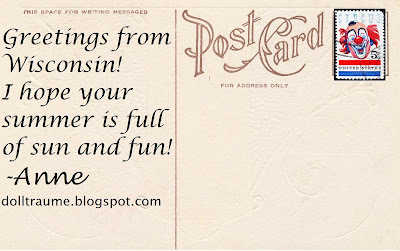 You can see all of the postcards from the exchange here.